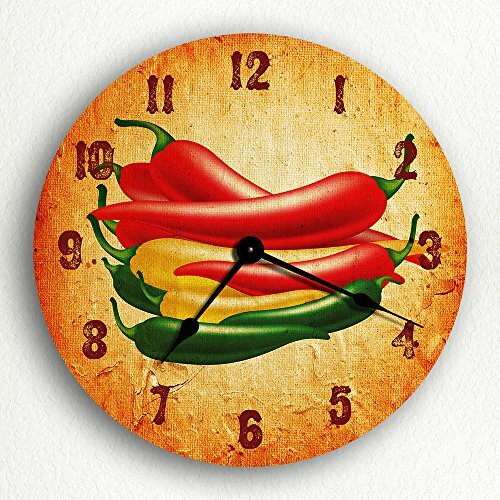 If you are wondering what to do with empty wall space in kitchen then these traditional style wall clocks would make a great choice. 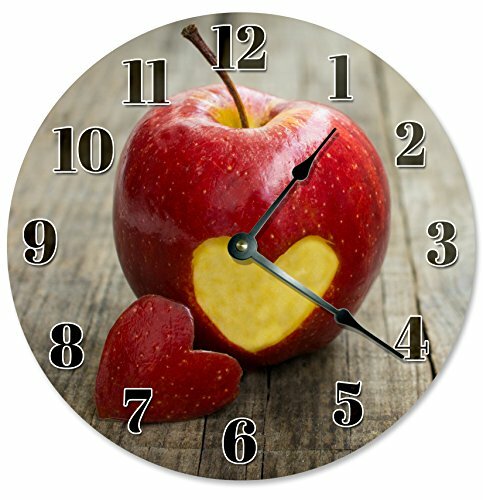 Designs include, designer oversized wall clocks, shabby chic kitchen wall clocks, kitchen clocks with fruits and cheap funky wall clocks. 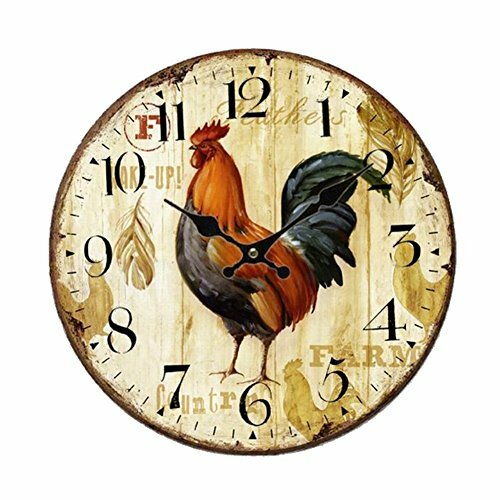 Ideas for a country style lover is a rooster clock for kitchen walls. 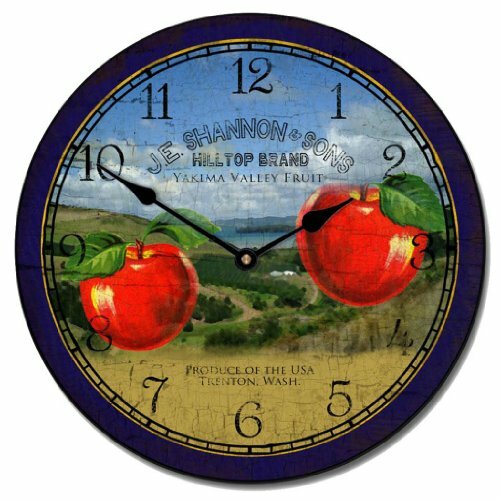 If you love the look of retro pieces then there are red kitchen wall clock 1950’s style. 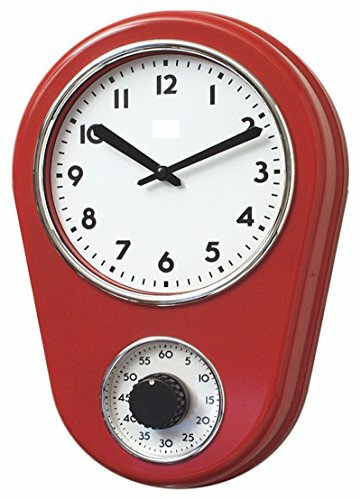 If you are looking for something quirky then a kitchen cutlery wall clock (red or other colors) would be right up your street. 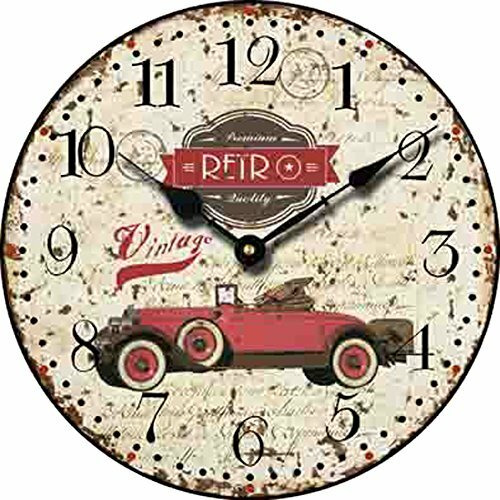 If you have a large kitchen with vast areas of empty wall space then one of these extra large clocks will fit the bill. They certainly make a statement. Red rooster decor themes are very popular in a kitchen. Here are 3 of my favorites. 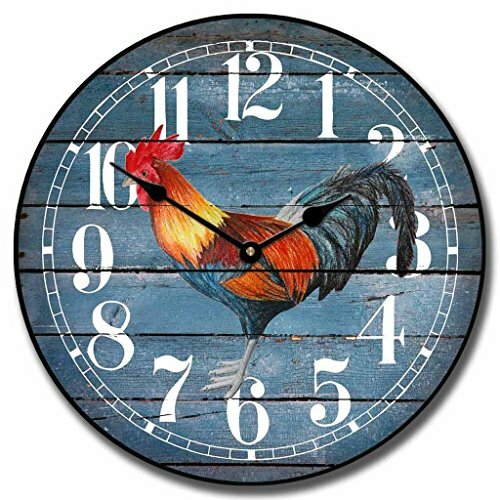 I particularly love the rooster clock featured below center that is made from metal and is beautifully hand painted. 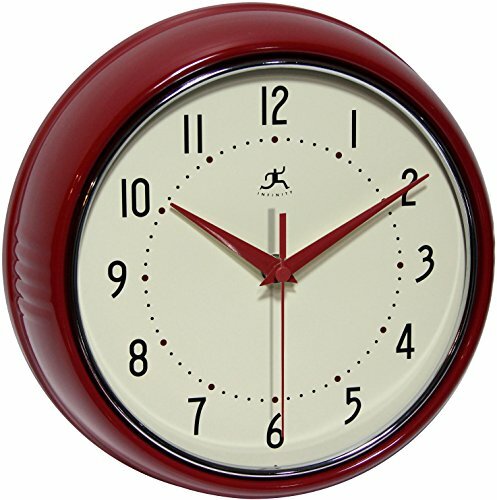 These wall clocks all have that 1950 or 60’s look of a diner from that time. 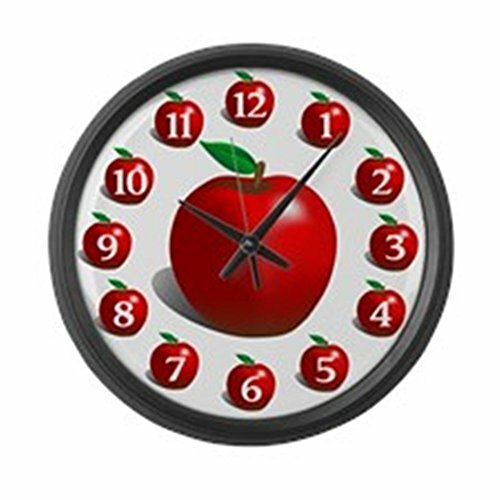 I like the square clock featured below, very retro looking, but wouldn’t look out of place in a modern setting. 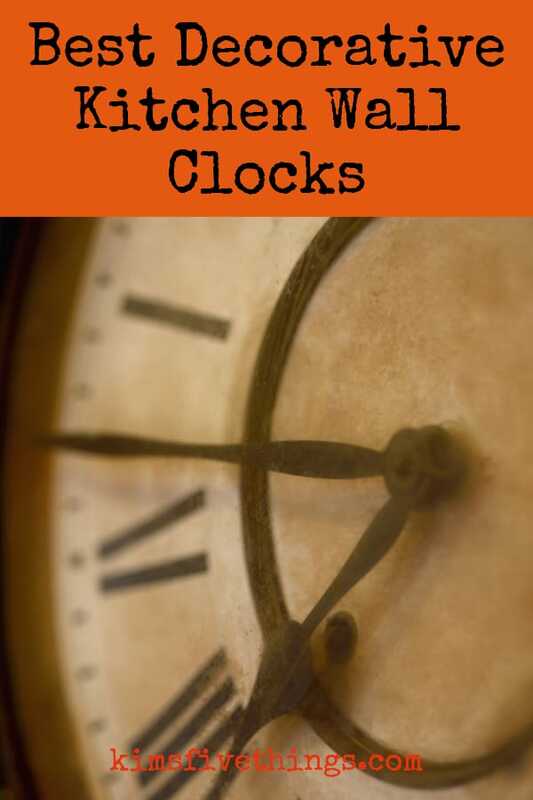 The clock featured in the middle is useful as it has a useful time set below the clock face. 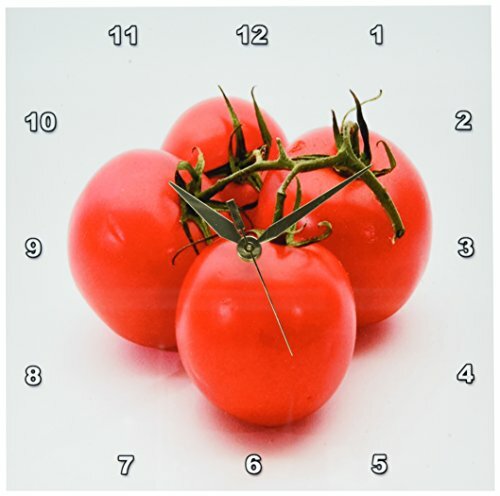 Here is a selection of rustic themed red kitchen clocks. 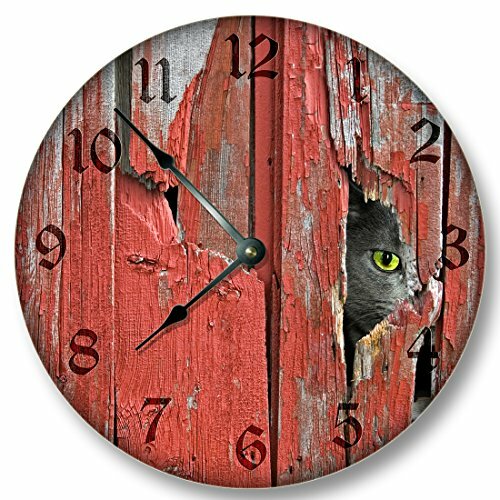 I just love the right-hand clock below with a background pattern of old wooden planks, through the gap is a cheeky little cat peeking through. 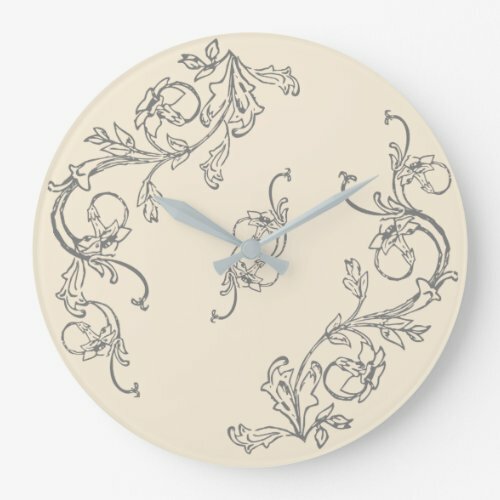 Here is a selection of Shabby Chic inspired wall clocks. Shabby chic is a decor style that is very popular for kitchens. 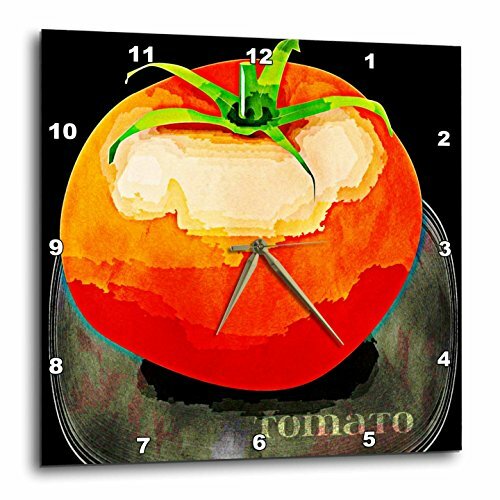 Here are my top picks for kitchen clocks that would suit a home with modern decor. 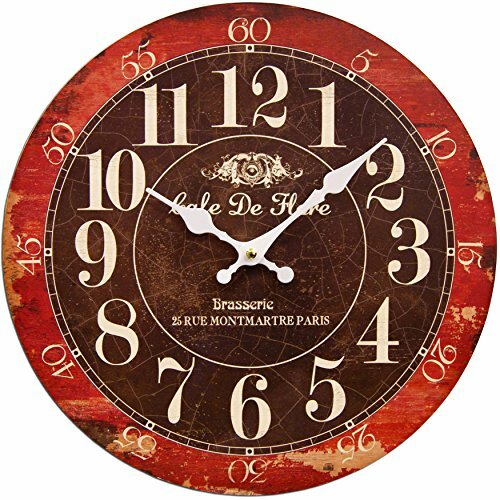 Some of these clocks are very large and are designed to make a WOW! statement. 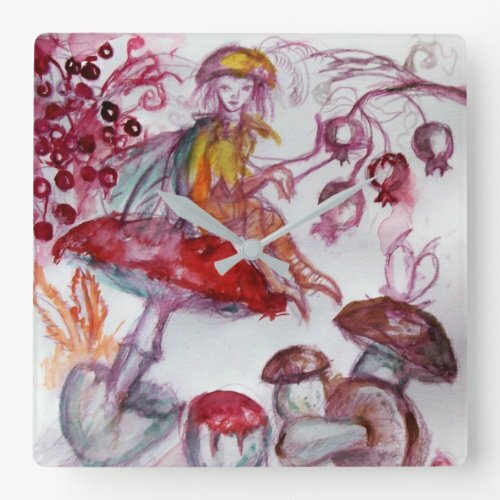 Perfect if you love quirky decorating pieces in your home. How cute and quirky are these clocks that are made from pieces of cutlery and kitchen utensils? 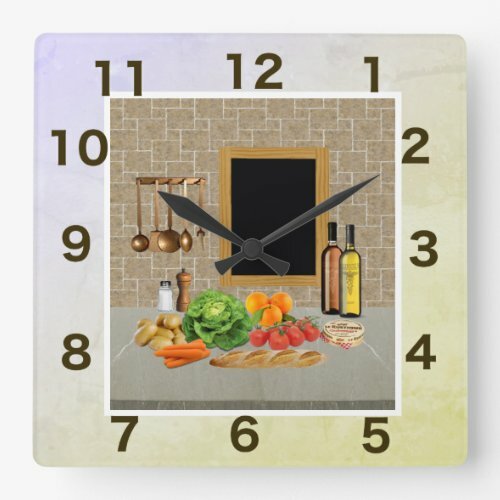 These would look great in any kitchen and would certainly be a talking point. 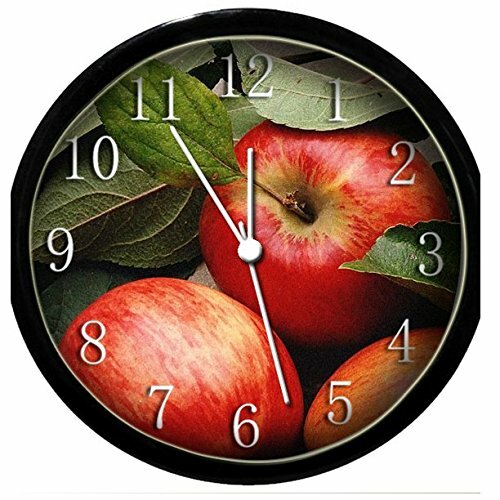 Red apple kitchen accessories are a common theme in kitchen designs. Here is a selection of my favorites. I like the first one featured below as it has a superb photograph of fresh apples with leaves, and it also glows in the dark. How cool is that? 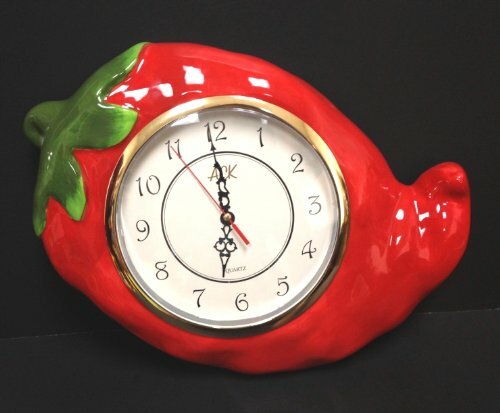 Here is a selection of bright and cheery red pepper clocks. 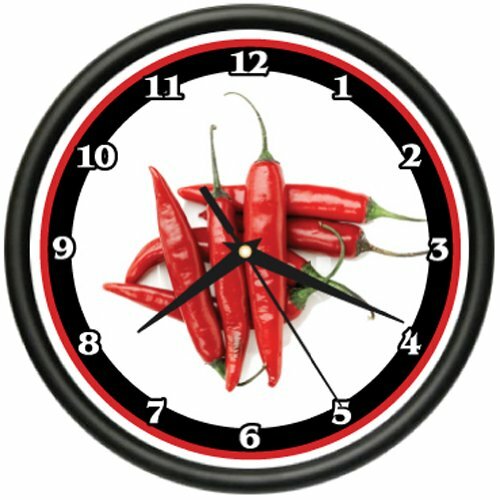 These will look fantastic in a red chili pepper themed kitchen. 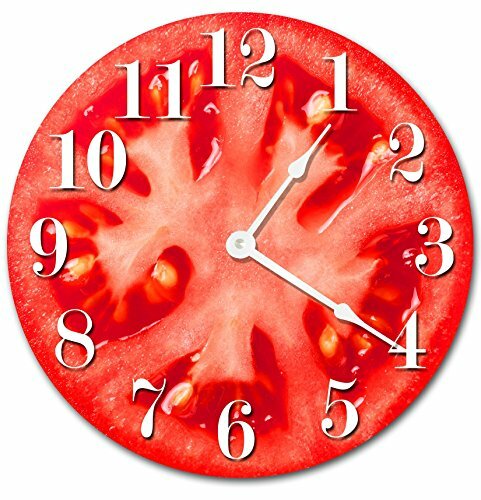 Red tomato kitchen accessories are a popular choice to add pops of red color to your kitchen. 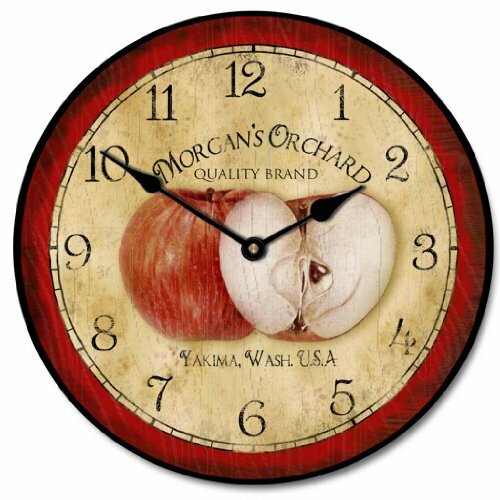 These clocks are just good fun. They feature creative artworks, both with photography, painting and drawing. A quirky design is the picture of a person holding a red watermelon in front of her mouth.